"The only way to change something is to change it all!" 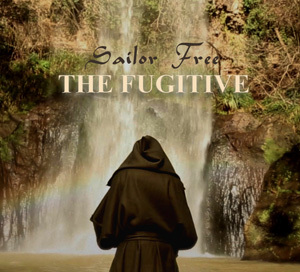 "This new album from Sailor Free might well make my best of 2016 list. It’s such cool modern prog." "And what is also very important, the sound of this recording is just amazing. It has a transparent sound quality... As reviewer and open-minded music lover I enjoyed listening to this enthralling album very much." "... there are easily a half dozen very memorable tracks that kept me coming back for repeat listens again and again. All taken, this is a very eclectic and healthy mix of sounds with one foot in the classic prog world and another reflecting more current styles." "Un gran disco rock, da ascoltare dall'inizio alla fine per capirne il senso... Da avere." "A great rock album, to listen from beginning to end... A must-have." "Un mosaïque intéressante de sonorités modernes... un album très satisfaisant." "Spiritual Revolution - part two is a classy Prog album that I enjoyed listening to from beginning to end... 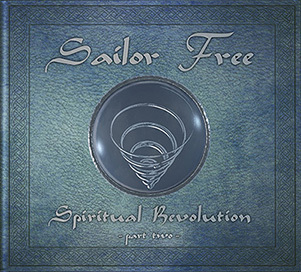 Sailor Free have certainly put out an album that deserves to reach a large group of Progressive Rock fans. "...this is an album best listened to in full. It is definitely an entertaining example of modern prog." "I recommend this band to the widest possible audience, first of all to those who appreciate originality and true artistry. "Over time, this music developed almost an hypnotic effect. You feel excited, without one could say exactly why." "I SF riescono a propongono una musica che, pur non rinunciando a quelle sonorità art-rock che hanno le loro radici negli anni '70, è attuale, fresca e soprattutto intelligente." "Un album basé sur l'imaginaire, en cela une vraie réussite... objectif tenu: celui d’éveiller votre curiosité." "L’album è ancora una volta splendido, capace di catturare irrimediabilmente i sensi... vi troverete quasi senza accorgervene a essere contagiati da questi suoni così variegati, intensi e vitali, espressione di classe, talento e di un’enorme forza comunicativa." "Tämä levy on erittäin hyvä." "This record is very good." 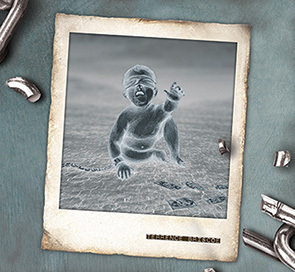 "An album that will teach to many conservatives what can truly be "Progressive" today." Spiritual Revolution part 2 is now available on TIDE Records CD or digital download HERE, and on ITunes or Spotify and all major digital platforms.